People move to Michigan’s Upper Peninsula for a number of different reasons, but a common reason all people seem to have is because of the beautiful natural surroundings. If you have decided to move Up North to one of the Upper Peninsula’s most beautiful cities, we’re the movers for the job. Marquette, MI is a great city full of natural beauty. From Presque Isle to Sugarloaf Mountain, it is no surprise that Marquette is one of the best places to move to. If you are ready to make the move to Marquette, you need the professional movers at Guindon Moving & Storage. 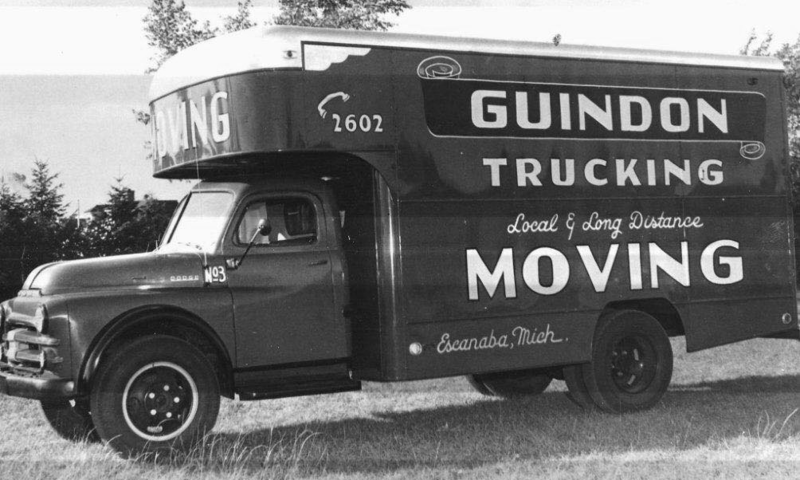 Guindon Moving & Storage is the premier moving company that has been serving not only Marquette, but the entire Northern Michigan area, for over eight decades. We are a family owned and operated moving company that is dedicated to providing our community with exceptional moving services. Guindon Moving & Storage is a full-service moving company. On top of your local or long-distance move in Marquette, you have the option to add a variety of additional services to your moving plan. Our additional services are tailored to cover every aspect of your moving process. Moving Supplies: Guindon Moving & Storage can provide you with the best moving supplies to help with you move to Marquette. We have quality packing material that will ensure the safe transportation of your possessions. International Moving: If you plan on moving overseas from Marquette, we have the resources you need to make your move successful. As a partner of Stevens Worldwide Van Lines we can provide you with the international moving resources you need for organizing and completing an international move. Marquette Storage: Sometimes when you’re moving to a new location you may find that you don’t have as much room as you thought at your new destination. Don’t worry, we offer temporary or long-term storage solutions to keep your possessions safe. Store your items in our secured and climate-controlled warehouse. Home Furniture: If you are moving to a new home in Marquette stop on by our Ashely HomeStore location in Marquette, MI. We can furnish your home to your liking! No matter if you are moving locally or out of Marquette, MI we can help you. We are reputable movers who are known for our quality moving services and exceptional customer service. No matter your moving requirements, we have you covered. When you choose Guindon for your move to or from Marquette, MI, you will receive moving services that are tailored to your relocation needs. You will get efficient and affordable services ensuring you a stress-free moving experience. For any questions regarding our moving services in Marquette, MI, contact us today. If you’re ready to make your move in or to Marquette, fill out our online form and receive a free quote today! As one of the best Marquette, MI moving companies, we guarantee you will be completed satisfied with your choice in Guindon Moving & Storage.